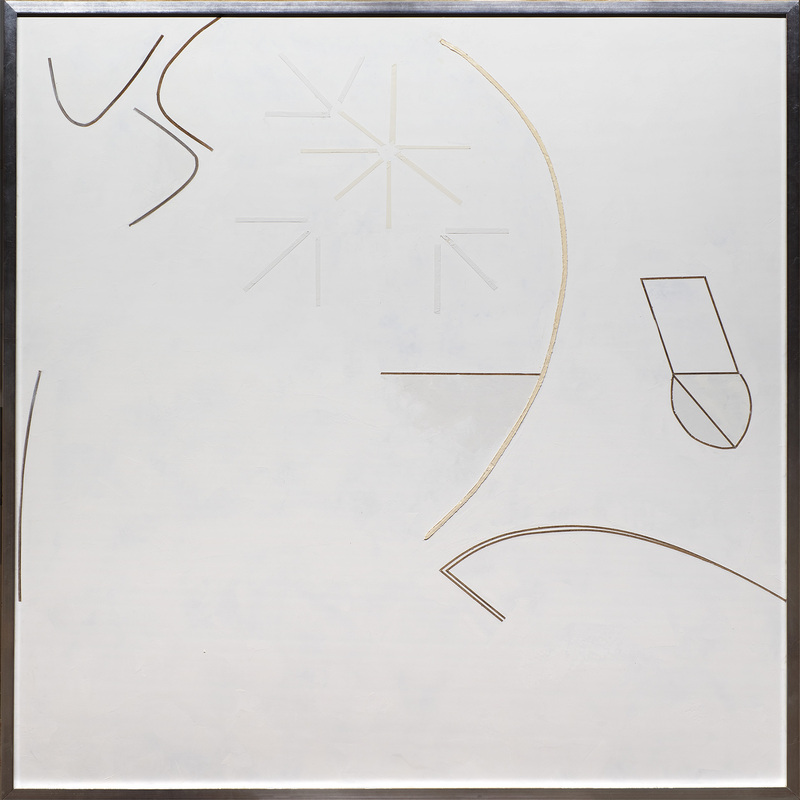 In another space at the gallery and concurrent with the Bloore solo exhibition, the “Selections from the Vault,” series show titled “Abstraction in Canada” features three major white-on-white Bloore paintings including the four by eight foot work from 1982 shown above. 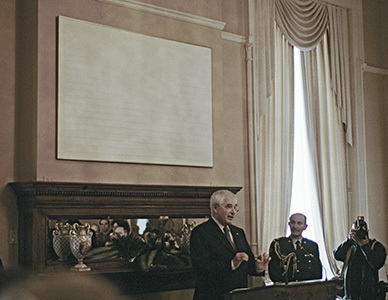 In 2006 the artist himself donated a work from the same series of paintings to the National Capital Commission in Ottawa. It can be seen here on the site in the Eighties pages. Also hanging are two four-by-four square works from 1982 and 1992. This exhibition runs from February 7th to May 5th. “Ronald Bloore: Black and White” will be up from January 31st to May 26th and there have been three events on Sunday afternoons. On February 10th the curator Darrin Martens gave a talk on Bloore's approach to compositional space. And on February 24th there was the “opening reception” for the two winter shows alongside a rather elaborate opening celebration of the North to Freedom photography show in the Peel Museum next door. April 7th brought guest speaker Timothy Long, Head Curator of the Mackenzie Gallery of Regina to give a talk, “Ron Bloore and the Art of Provocation” which focused mainly on Bloore's efforts and adventures as a figure in the art world, particularly as Director of the Mackenzie Gallery from 1958 to ’66. 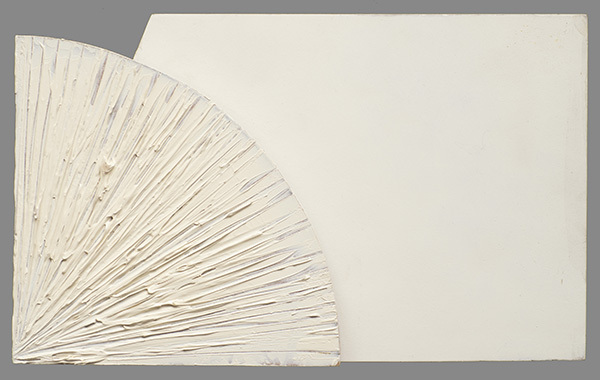 Bloore always felt, and declared, that to be provocative was an essential requirement of art. It could be humourous and it could be pleasing, but it should also be ambiguous and also disturbing. It must always provoke the viewer to question himself. It must take him aback to provoke pushing forward, to promote a desire to understand just what progress might be. As the director of the Mackenzie Gallery Bloore saw it as his job to be provocative for the sake of the advancement of culture. 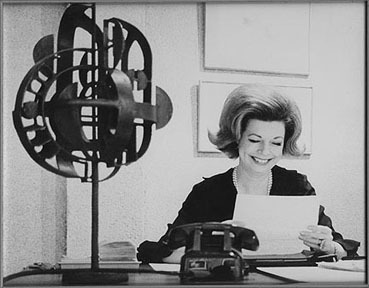 He later approached the tasks of public speaker, critic and commentator on art the same way. And as an instructor and professor the mission and the method were again the same. Even chatting over a drink, or seated at a pleasant dinner Bloore’s often very ambiguous provocations and occasionally disturbing humour were well known. Snapshots of his many modes are here. 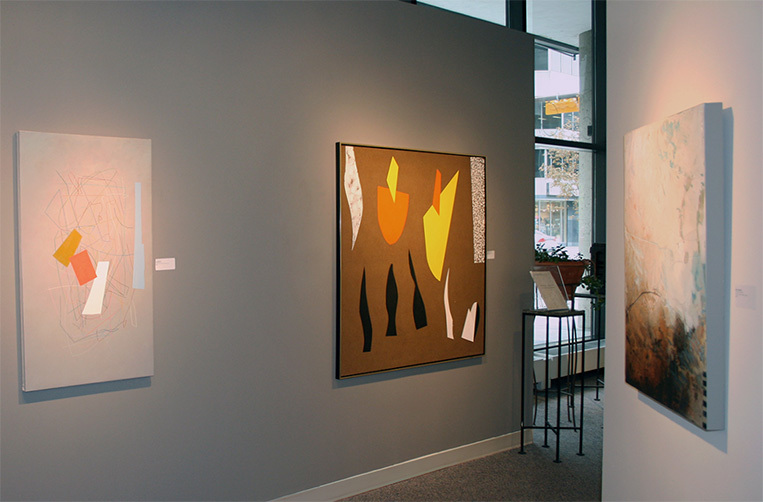 A recent commercial show at the Wallace Galleries in Calgary featured three black sumis and two are still there. They can be seen up close here. 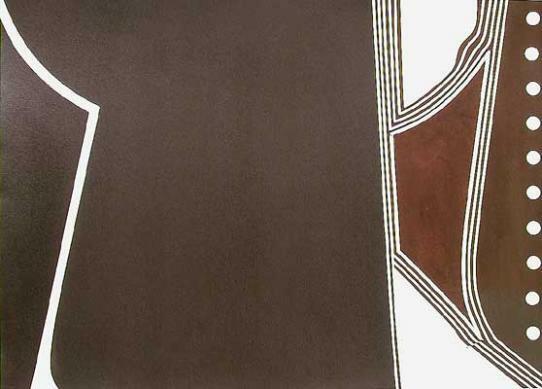 Our page devoted to black works is here. 1960 is now a world, or two, away. In 1960, Regina Saskatchewan was, as in the title of Mark Wihak's film about the Regina Five, “A World Away.” And in Regina from 1958 to 1966 Ron Bloore was a world away. 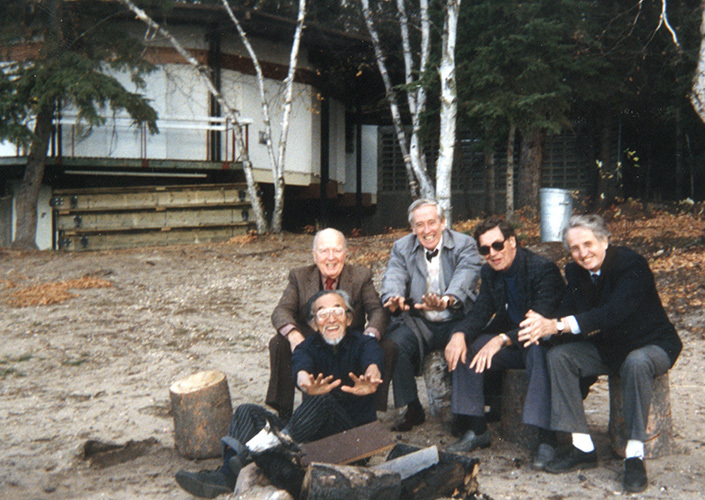 In 1962 Bloore went for two years on a Canada Arts Council Fellowship Grant many, vast worlds away. He went to Byzantium and to Greece and on to Egypt and to the mosques of Istambul. He then proceeded to destroy almost every artwork he had done that he could get his hands on, except the few that had been on the track which he now knew was the one to pursue. This work, perhaps more clearly than any other, contains many of the essential, now famous, elements of that post-elimination track. This is why Bloore wrote NFS (Not For Sale) on the back of the painting when it showed in museums in the mid-seventies. But it sold this month in Toronto. The trip to Greece is a story yet to be taken up directly by the author of this site but it is briefly told by Terrence Heath in his Not Without Design catalog essay, which is on the site, here. 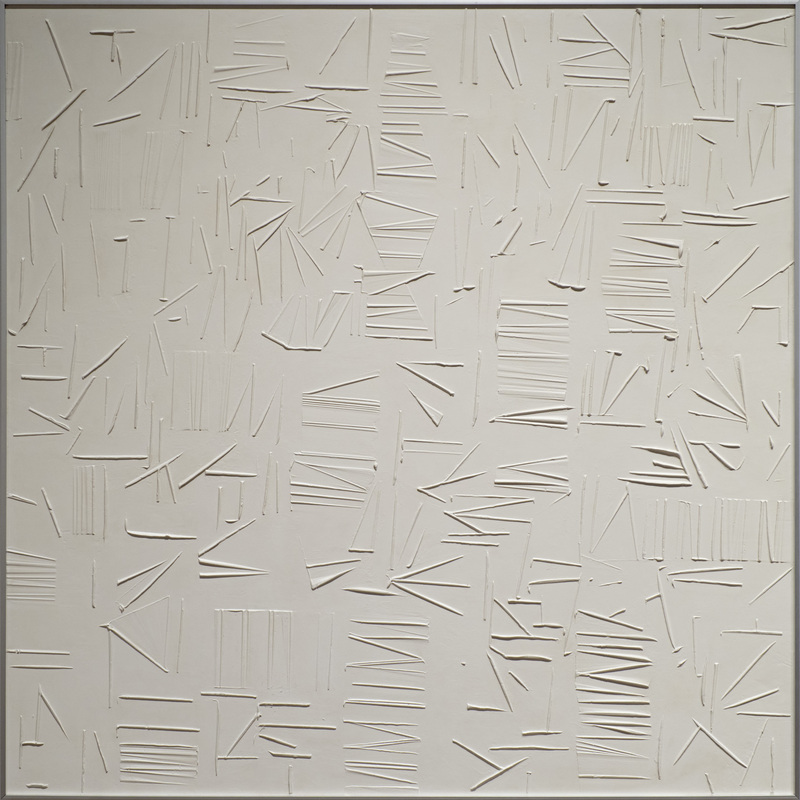 There is a gallery of a selection of Bloore's works from the early sixties on the site here. And yes, one of them is from the sixties. The work is shown on this site among others of its period in the Late Sixties Gallery here. 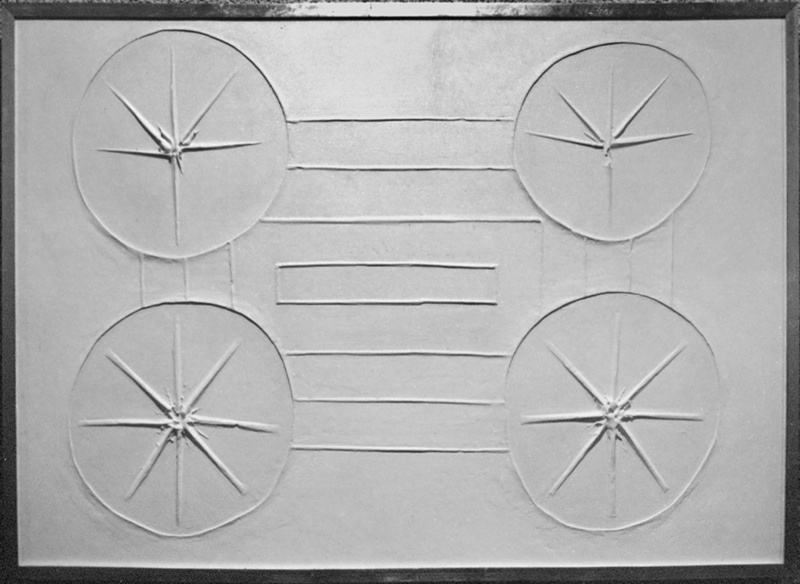 The estate is aware of four maquettes this size from this series but only a single example of a full size one. A nice photo opportunity of that large work came in 2002 at the Ontario Provincial Legislature. Above, Lieutenant Governor James Bartleman speaking at a tribute to the visual artists of Ontario in the Legislature building in Toronto. 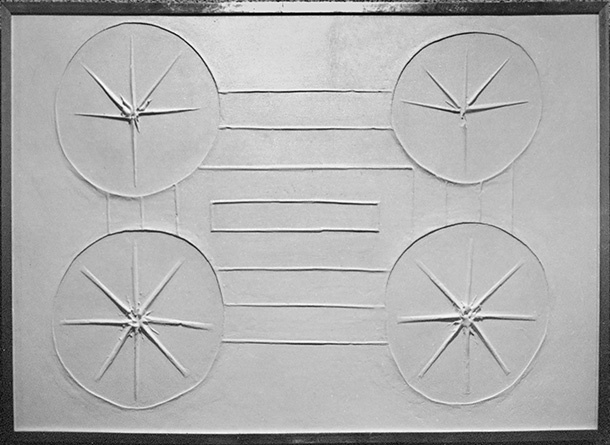 This work is shown on the site among others of its period in the Nineties Gallery here. 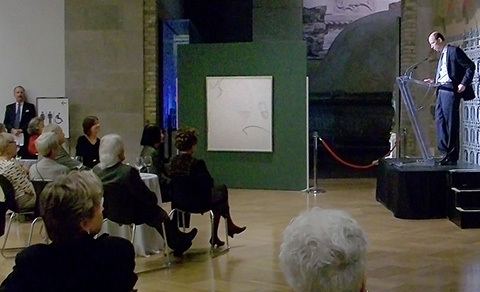 The last public appearance this work made was in 2009 at the Tribute to Ron Bloore at the Royal Ontario Museum. Above at the left, Guy Metraux, fellow York Professor Emeritus and close friend of Ron's attends his introduction in the great hall of the ROM. 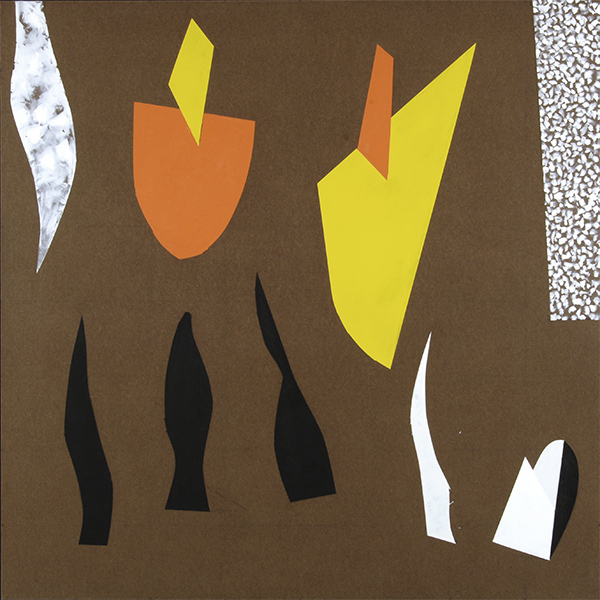 This work is shown on this site among others of its period in the 2000-2003 Gallery here. Both of the “New Series” paintings, the 4-by-4 and the 3-by-3, hung in the Moore Gallery show “Bloore, Bluer; The Blue Series and a Newer Series” in 2000. At the time most of the lines and fields which are now various colours were just beginning to stray from pristine whiteness. One job of the small maquettes was to let different paints and different paint methods jostle in close quarters. Then slowly, kept out of the light for a number of months, the various matte and glossy whites would ripen into creams, greys, golds and yes even whites. Similar works of all sizes can be seen in the Eighties Gallery here. In 1985 Bloore broke the “fourth wall” with multi-panel works that visibly approached the viewer. He made many many maquettes. By becoming three dimensional the “Monumental Series” became almost literally architectural. 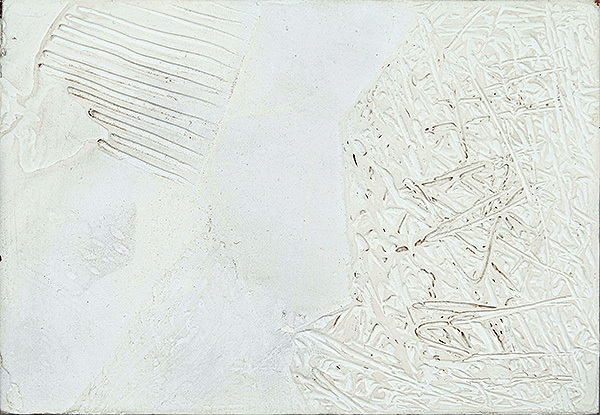 Many similar small works and one full size monumental piece can be seen in the Eighties Gallery here. The Estate stopped selling it's few remaining 5 by 7 inch oil sketches in 2012. The last one sold for $3700. And we were immediately asked for another. They do have a strong and curious appeal. How in the world then does this very dirty and neglected little treasure find itself in an online auction like this? On the back the paints are noted by Bloore for reference, TQDW, Talens Quick Drying White oil paint over CIL enamel primer. It is dated 1971/72 indicating his relative devaluing of time and dates. It may have his name, last name, on the back under the frame backing but maybe not. He insisted that its value should derive solely from the obvious beauty of what is on the front, independant of any potential associations, reputations, institutions. 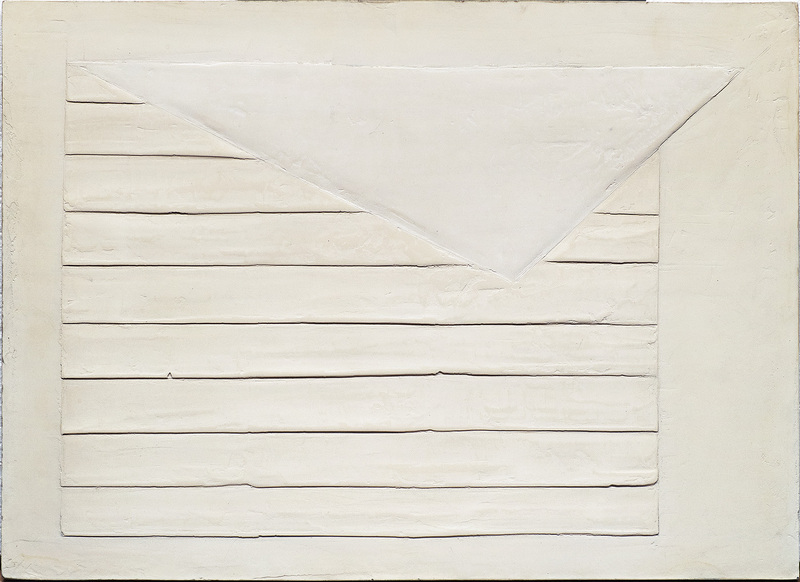 “In my house, above a telephone desk, hang two small white panel paintings by Ron Bloore. They were a gift of the artist to my wife a few years ago. So, while I have been engaged in conversations with the gas company, or the bill collector, my eyes have wandered over these tiny pictures, drawing both knowledge and nourishment from them. “They have helped ease the tedium of the practical matters of daily communication, leavened the day to day business conducted in that place, and led me gradually into a wonderful other world of limitless space and endless time. October 12 to the 25th the Wallace Galleries in Calgary AB took an interesting approach to a show, an examination of the works of five of their painters who interacted in one way or another with a single art critic. And the show included Ron Bloore. 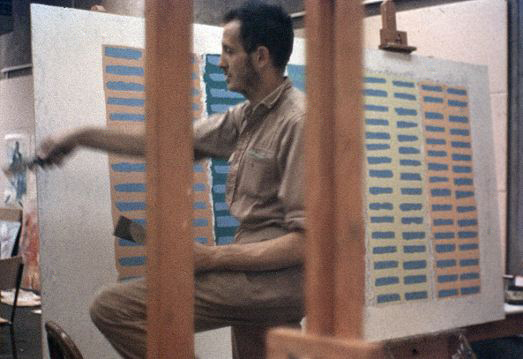 Clement Greenberg was, like many an art critic, a failed painter. He was a failed landscape painter. And like some critics, he developed his own theory of art which, if it really needs to be said, was intellectually stillborn but became extremely influential nonetheless. That influence reached a turning point around 1962. 1958 to 1962 were tumultuous years in Regina and this was in no small part due to the efforts - successful efforts - of Ron Bloore to nurture a proper flowering of indigenous art production there. In ‘62 he took a two year sabbatical to Greece and Egypt. 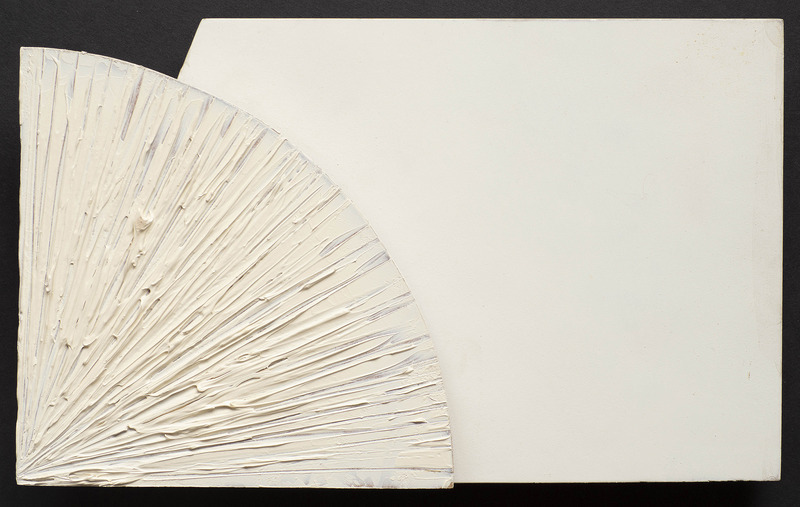 During his absence Greenberg came to Saskatchewan and Canadian art history took a dramatic turn with Emma Lake as the pivot point. It is a story yet to be taken up directly by the author of this site but it is told by Terrence Heath in his essay which is on the site here. and Ron Bloore try to warm their hands at a fire that is not burning. The Wallace Galleries in Calgary AB celebrated their 30th anniversary this year with an exhibition from Sept. 14 to Oct. 11 featuring all of their significant stable of artists. Fresh new works were the order of the day, and some very old Bloores can appear fresh and new, so we looked for a 30 year old work. And there is one. The estate has only one painting from 1987. And it is stunning and unique. Moreover, the estate has records of just two paintings being done by Bloore that year, in July. They stand like markers between the paintings that went before this transitional year and all the later works. 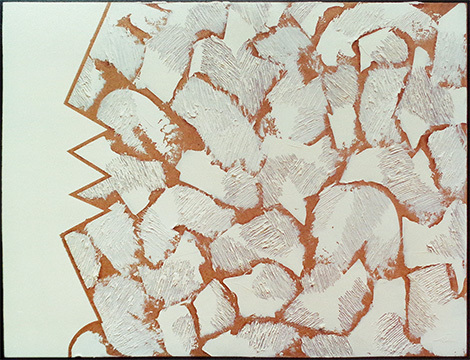 They integrate, in paint, for the first time the dramatic spatial effects Bloore developed in the ink works of ’83 to ’86. 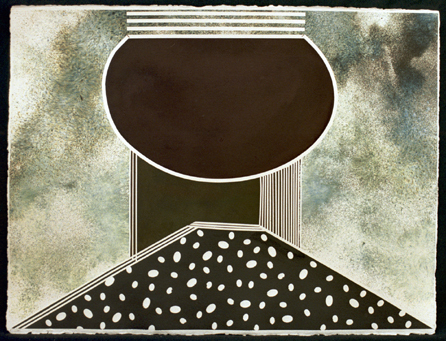 The other work, finished two days earlier, and now in a private collection, took a more two dimensional approach to the ink works’ compositional style. It’s obvious success seems to have spurred Bloore on to the ink works’ richer spatial effects like evoking a deep and complex background. The ink work examples shown here are currently in the Wallace Gallery stock. 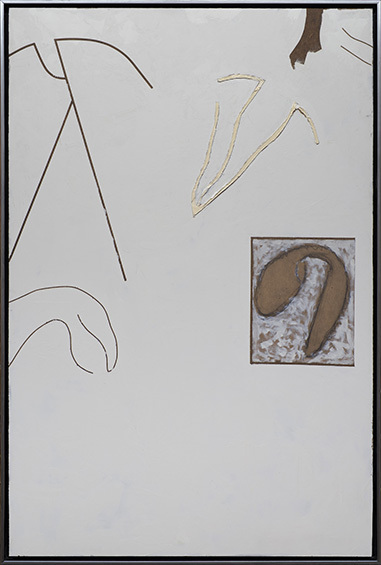 In celebration of the anniversary and also in response to the outstanding success of last year’s Wallace Gallery exhibition Ronald Bloore: Untitled , two other estate paintings accompanied the 1987 work to Calgary. 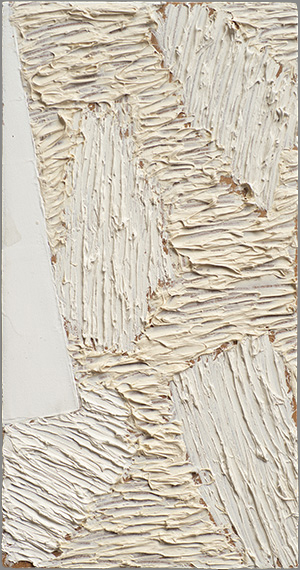 This 2003 piece is one of the last White-on-White paintings and even includes a small window onto the brown world of the works to come. And finally, and long overdue, the Wallace Gallery now has available one of the last series of Bloore's long career. 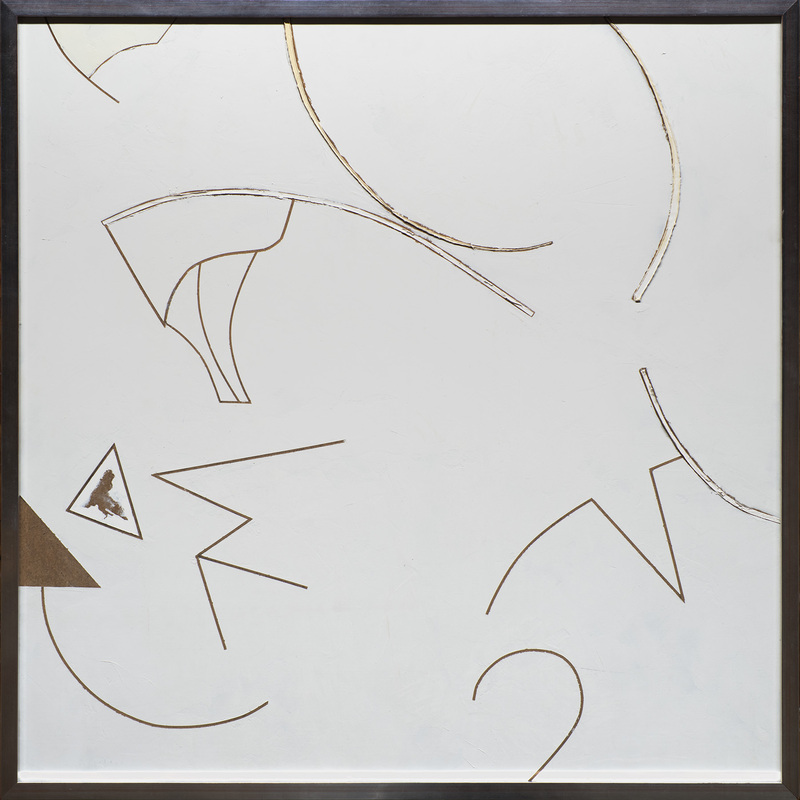 A major work which was featured in the Ronald Bloore: Fragments of Infinity travelling exhibition put on by the Mackenzie Art Gallery of Regina. So a familiar piece turned up in Heffel’s March 2017 on line auction. And sadly, it received no bids. It is a great piece of history, radically unique even to this day and a beautiful old painting. But still, no bids. 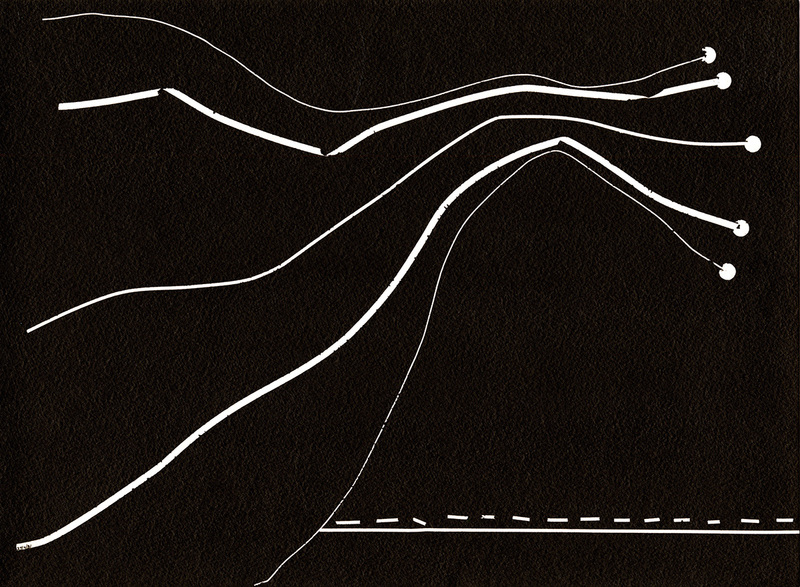 This White Line Painting of 1965 was first displayed back in the last century by none other than Dorothy Cameron. 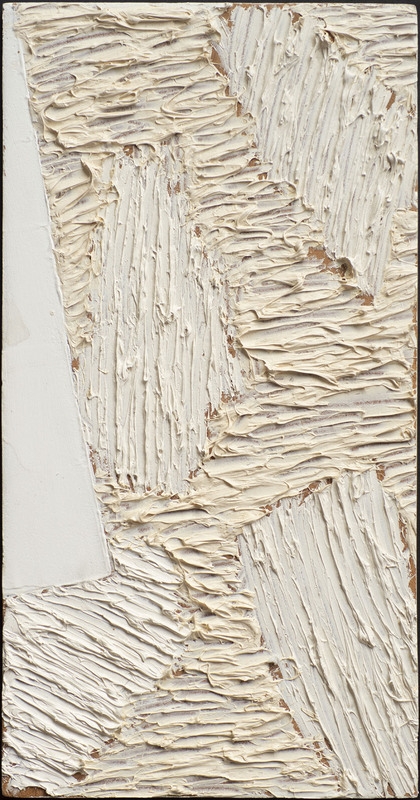 It is called number 9 and it appears ninth in a column of the Exhibition Catalogue of the show that Cameron traveled to the New Brunswick Museum and the Winnipeg Art Gallery in 1965. 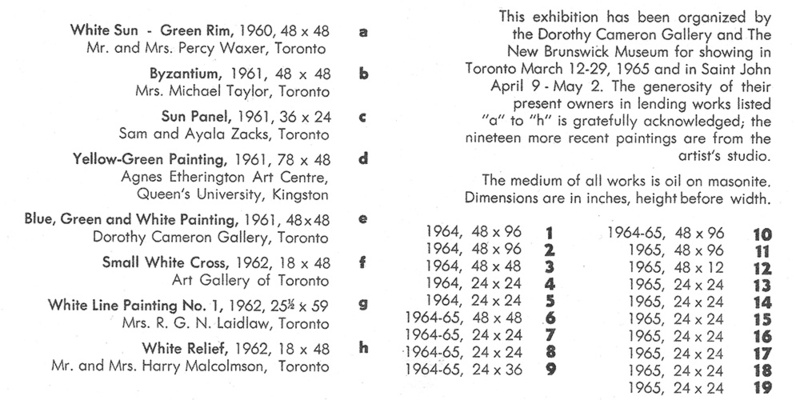 Interestingly, the exhibition hung in a commercial gallery in Toronto and in public galleries in the other two cities. Also on that list is a painting called Byzantium which was auctioned in 2006. And how long ago even that seems now! That painting was given an estimate of $2,000-2,500 back then but it sold to a certain Mr. Thomson, who knows a deal when he sees one, for over $55,000. That story, and an image of the painting is here. 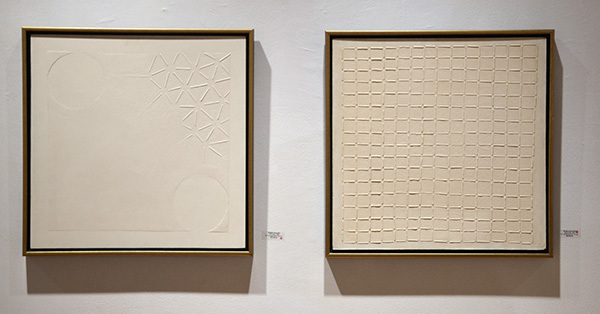 Here, above and below are some of the 2 foot by 2 foot paintings as they hung in the Dorothy Cameron Gallery in Toronto. There’s a couple more familiar squares here too: the two grids. One sold badly at auction a while back for only $10,000 and the other is shown below selling a couple of years later at the Moore Gallery in 2011 for $40,000. And those are just 2-by-2’s while this current piece is a 2-by-3. 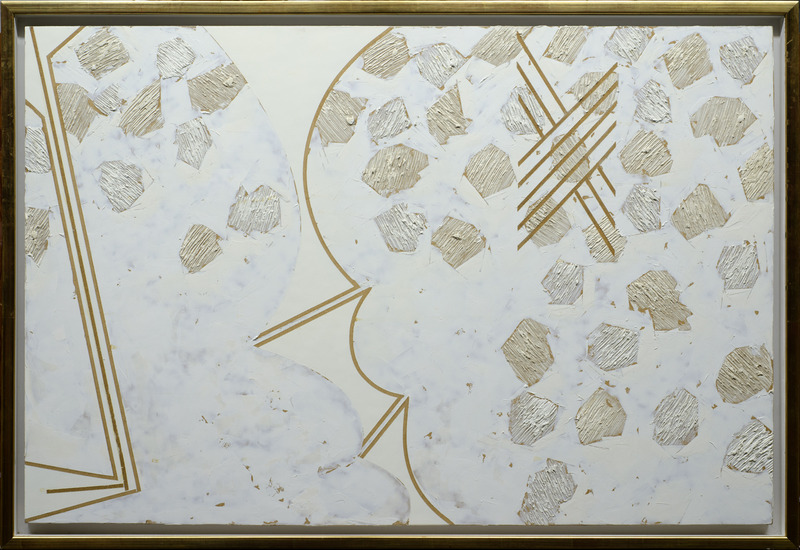 The Wallace Galleries in Calgary just sold a 1960 2-by-4 in October ’16 for $71,000. But these are the vicissitudes of the auction market. Is it a mug's game, as some say? We must say, no. Is life itself a mug's game? We must say, no. What does our art say about that? It must say, no.